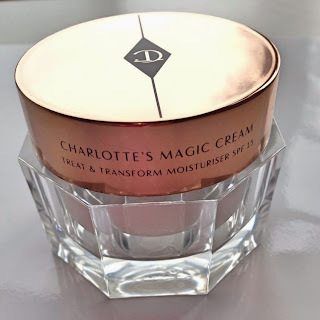 I have wanted Charlotte Tilbury's Magic Cream since it was first released so you can imagine my disappointment to find myself writing this post today. 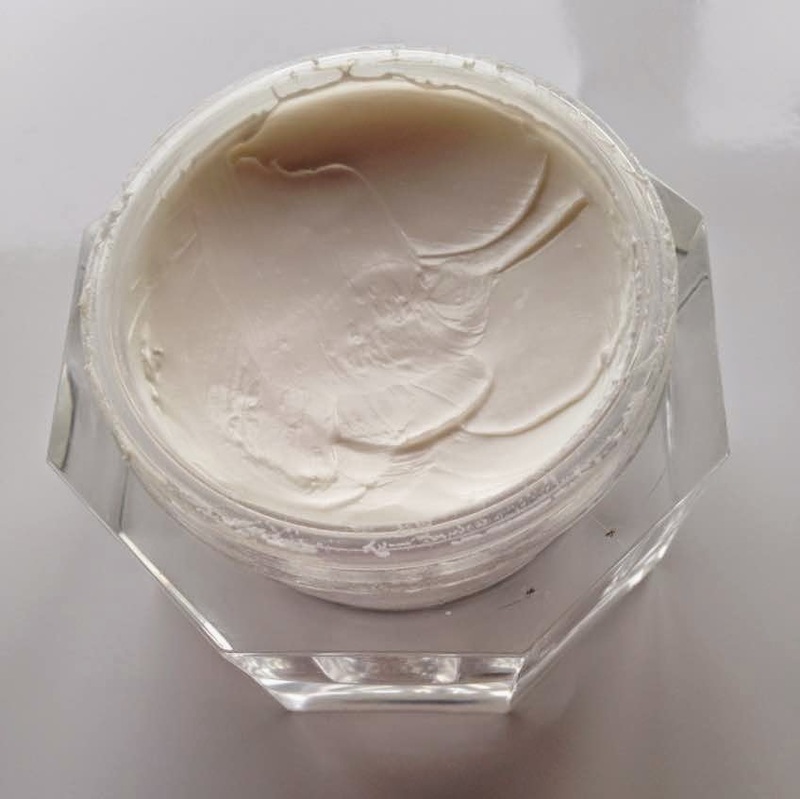 This cream is supposed to suit all skin types and is packed with hyaluronic acid, which is an ingredient that I love because my skin is very dehydrated, it also contains rosehip oil & Vitamin E, again aimed at adding moisture to the skin. My skin is always crying out for moisture so I thought this would really be a wonder cream for me and "magic" as the name suggests. I can't explain how excited I was to finally own this and I had very high expectations. When I first opened the tub, I noticed that the cream had a different texture than my usual choice of moisturiser, but it obviously didn't deter me. I watched the video on Charlotte's website and followed her instructions on how best to apply the cream. My skin did look brighter, but it still felt very dry across my cheeks. I applied a little more to that area, but it still felt very dehydrated. When applying my make-up, I used more of my Hourglass primer serum than normal in the hope that my foundation would sit properly, but my skin was just so dry and my foundation didn't blend in as nicely as it normally does. I just didn't feel happy with it. The next day was a no make-up day and I was still so disappointed with how my skin felt - it wasn't exactly tight, but just felt thirsty. I tried it with my serum and without, but to no avail. This went on for a week and I finally had to give in and realise that this moisturiser was not for me. It felt more like an emulsifying cream to me - thicker in some ways than my usual moisturiser, and it really needed to be worked into the skin. The texture is similar to that of Ponds Cold Cream, if I remember correctly (I used that in my teens!). I think that for normal skin, this cream would work a lot better and I am obviously in the minority here, because I have never read a bad review of it before but I can only be honest about how products work for me and on my skin type. I have given this to a friend who has a different skin type to me so hopefully it will work for her. I love everything else I have tried from the Charlotte Tilbury range and will continue to try her products, but this one just isn't for me. There are some products that she only has one type of - foundation, cleanser, primer and this cream so I am hoping in the future that she expands the range to suit different skin types and maybe then I would try something from the skincare range again, but for now, I will stick to my usual (less expensive) moisturiser. I still want to try her Goddess Skin Clay Mask though! Have you tried this cream? Have you ever been disappointed after purchasing a much longed-for product? Please tell me I'm not the only one!